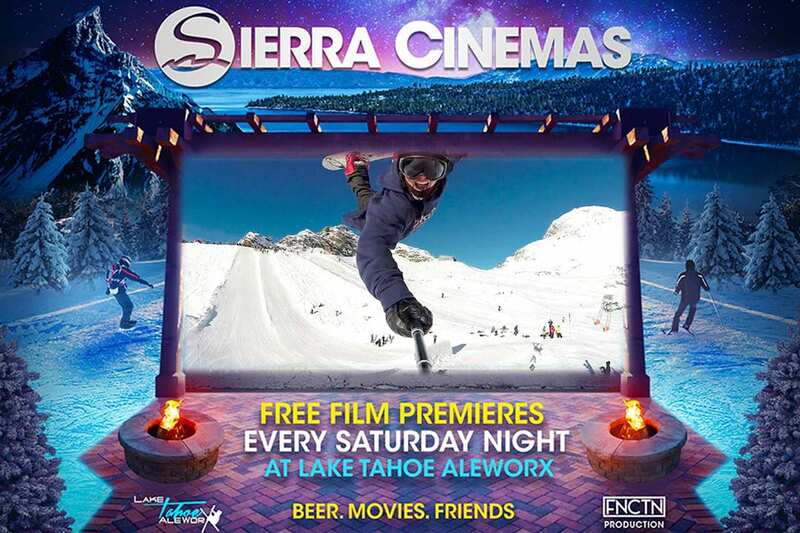 Lake Tahoe AleWorX, FNCTN, and Sierra-at-Tahoe have teamed up to bring family-friendly entertainment to the mountain community for the entire 2017/18 winter season. Every Saturday from 5-10 p.m., the resort and its partners will show snow sports, seasonal and crowd-favorite movies on the big screen. Enjoy the libations of AleWorX self-pour brews and oven-fired pizzas while huddled around fire pits with your friends and family. These films are a great opportunity to gather your family+friends after a day of shredding. Remember to bring blankets.